Another great year has come and gone on the Bighorn with a few twists and turns along the way that certainly kept things interesting. Another year of big snowpack, coupled with large quantities of snow and rain created river conditions that no one could have predicted. This year’s fishing was dominated by high water that started with the torrential rains of May and created high water conditions into August. While the high water threw a twist into our usually predictable fishing season, the fish and us as fisherman adapted and great fishing was had throughout the season. While we get out fishing occasionally throughout the winter our fishing for the season really kicked off this March as anglers took advantage of our annual spring special. With river traffic almost non-existent the river nymph fished very well in March and April. While we typically see good midge hatches in March and April resulting in some very good dry fly fishing, colder than normal air and water temperatures severely delayed our spring hatches. While a few midge hatches took place in Late April, the best hatches of midges remarkably took place in May, when our baetis hatches our going strong. In the third week of May one of the most significant weather events over the past 100 years took place when 6 inches of rain fell over a course 72 hours. Bighorn River tributaries swelled, the river rose out of its banks and the reservoir began to head towards flood stage. These heavy spring rains coupled with remarkable snow pack percentages that hadn’t even started to melt yet created the perfect storm of water. As a result the river made it all the way up to 15,000 cfs in early June. While these flows were huge and wade fishing became almost non-existent the boat fishing that was had with an experienced oarsman at the helm was great. By the first day of summer with flows still huge, the river had peaked and flows stabilized. 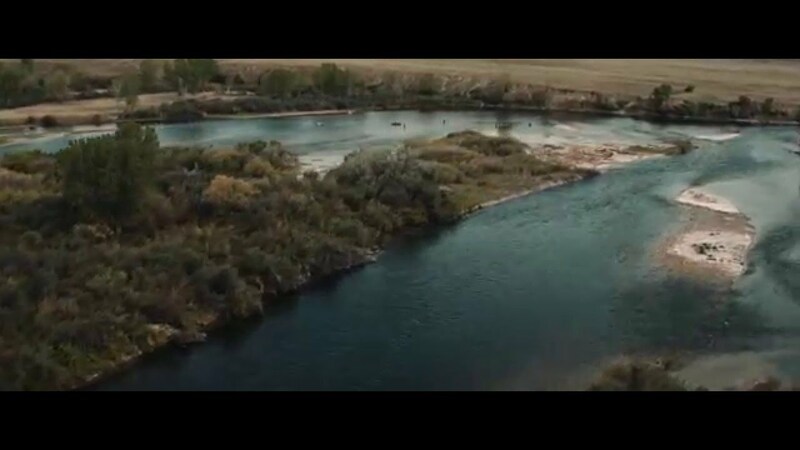 The most amazing thing about this river is that it is a food factory and when the brown and rainbow trout have an ample food supply they find a way to take advantage. Despite flows of 11,000 cubic feet per second the amazing hatches of Yellow Sallies and Pale Morning Duns emerged again this summer and the trout took notice. Fish found soft water on inside bends at the bottom of what used to be islands and over grass banks that were now covered in water. Many days were spent fishing dry flies all day both blind to likely areas and over amazing pods of fish. As the PMD and Sally hatches tapered off by the end of July with flows still over 10,000 cfs black caddis hatches kicked in during the afternoon and evenings. By August the Bighorn was in full on summer mode despite the persistent high water levels that still limited typical wade fishing opportunities. Hopper fishing during the day became productive and was much better at certain times than others. This year’s hopper fishing while good was not nearly as good as the 2009 and 2010 seasons. What the hopper fishing lacked the trico fishing made up for. By the end of August the aguatic grass was in full bloom and the technical dry fly fishing became the name of the game. Solid pseudo emergences gave way to amazing hatches of tricos. The trout keyed into trico dun emergences and then into the trico spinner falls each day from late August all the way until the first week of October. By October fall had finally arrived and with it came some great streamer fishing. The trout on some days were down right ferocious and came to stripped streamer patterns regularly throughout the entire river. By the end of October fall baetis kicked in and brought numerous fish to the surface. The fall baetis hatches this October and November were markedly better than the previous few years. For the few anglers on the Bighorn this time of year the fishing was great. While 2011 threw some fishing conditions at as that no one could have predicted, the Bighorn gave us some amazing fishing opportunities. We once again want to thank everyone that came out to fish with us in 2011 and hope to see you again in 2012. Feel free to email or call us if you have any questions about fishing the Bighorn throughout the year.